Wring Group site manager Steve surveys the scene on the last day of demolition work on the former Swindon College Regent Circus site. Planners, designers, architects, consultants, councillors, engineers and more. The list of people who are involved in urban regeneration can easily stretch to Christmas-list proportions. But what about the contractors themselves? They're the people who go onto cold, windswept sites at all hours, on the front-line for criticism from anyone, site neighbours, motorists, passersby, it's a job few people would envy. 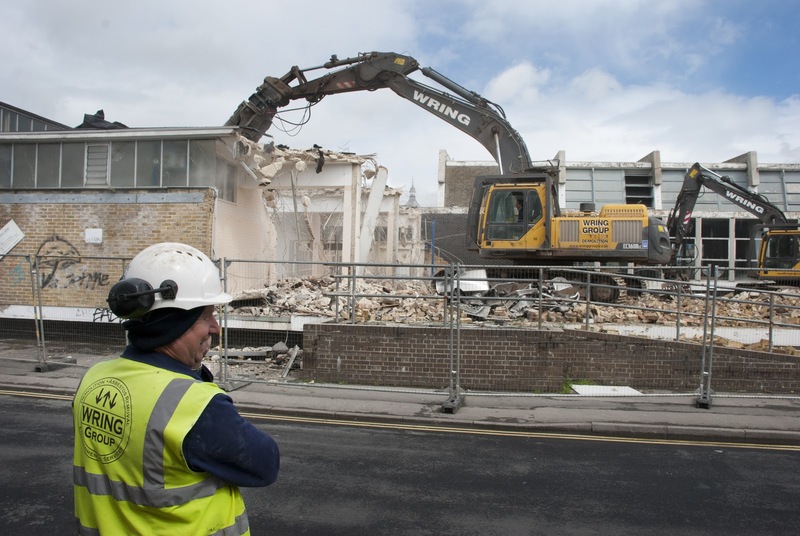 The one person who's been responsible for the old Swindon College demolition from beginning to today's end is Site Manager Steve from Wring Group. On the nearly thirty site visits fellow photographer Ed Howell and I have made, from the security of the site to the careful asbestos removal, to the weather hampering the work to equipment problems, we've seen a hell of a lot. 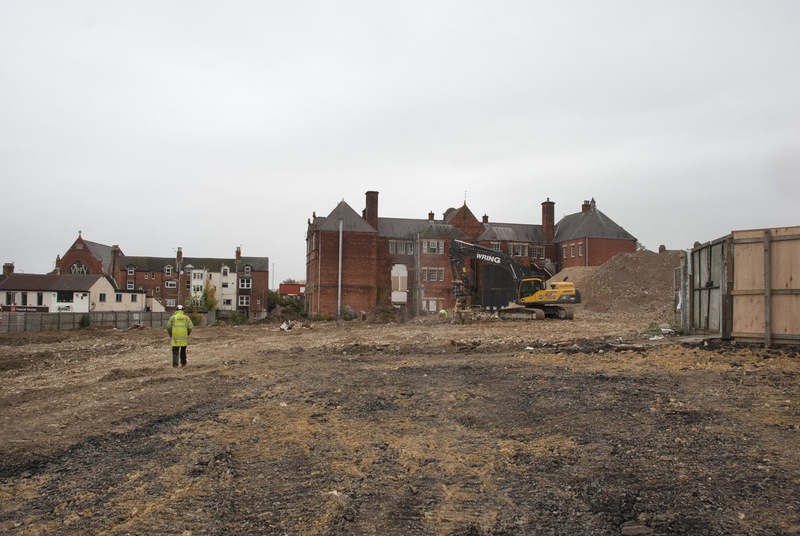 Just a few days after major demolitions works began in May, the view from Edmund Street. So in the long story of Swindon's town centre regeneration, those people like Steve should be recognised for their dedication and professionalism.